After the Water Wise Coffee project worked with local wet mills to reduce their contamination of nearby rivers, Meselech no longer has to walk several kilometeres to fetch clean water for her family. 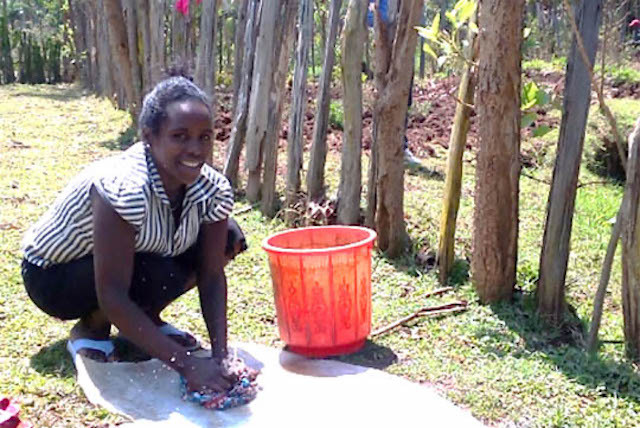 Meselech Amato, a 26-year-old coffee farmer, depends on the nearby Bunata River to wash her clothes, irrigate her crops and provide drinking water for her livestock. Just three years ago, however, it was impossible to use the nearby river for these essential chores. While all communities rely on water, coffee-growing communities often face a conflict between their livelihoods and this life-giving resource. 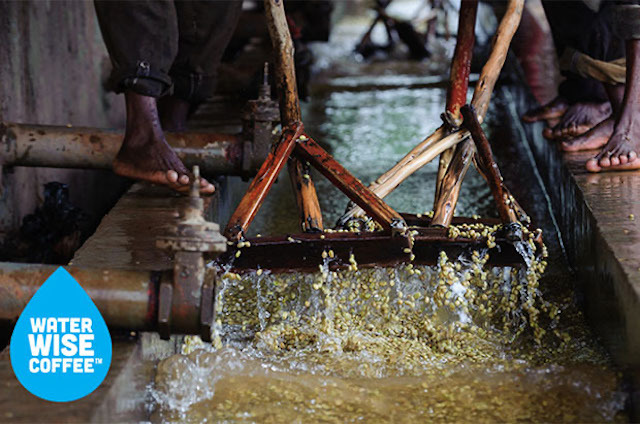 Wet mills are a crucial part of coffee production in which coffee beans are washed and processed. However, the process also discharges wastewater and pulp into the river, affecting local residents. In the Sidama region of Ethiopia where Meselech lives, hundreds of millions of liters of wastewater and coffee pulp are discharged into the rivers during coffee processing. Because women are customarily responsible for household chores such as collecting water, the negative effect of the river contamination disproportionately burdened local women. In processing season, the river would become so contaminated that Meselech was forced to travel nearly three kilometers each day to fetch water from an alternative source. “The polluted water damaged our vegetables when we irrigated and hurt our animals when they drank it,” she remembers. In 2012, TechnoServe partnered with Mother Parkers Tea & Coffee to protect Sidama’s rivers and improve the lives of its communities through the Water Wise Coffee project. The initiative worked with wet mill owners to implement an innovative water management system that reduced contamination of local rivers. Through the project wet mills began to separate the coffee pulp from the wastewater. The separated pulp was then composted and distributed to farmers as organic fertilizer. Meanwhile, the remaining wastewater was absorbed by vetiver grass wetlands, which were also planted through Water Wise. After Wicho Bunata wet mill established vetiver grass wetlands with the support of TechnoServe and the Water Wise Program, Meselech says that she no longer needs to travel long distances to collect water; rather, she now uses the water from Bunata River, even during the processing season. “As a woman, I have benefitted the most from the new vetiver wetland; I can collect water from the nearby river and use it for different purposes. We are also able to breathe clean air, after suffering for years from the terrible smell of the wastewater and pulp in the pits,” Meselech explains. In 2016, the 64 participating wet mills processed approximately 40,000 metric tons of coffee cherry and converted coffee pulp into over 8,000 metric tons of compost. Water sampling downriver from wet mill sites revealed that the Water Wise approach prevented pollution by the wet mills during the harvest season, and that the rivers had maintained their pre-harvest condition. Read more about TechnoServe’s work to improve the impact of coffee processing on Ethiopian communities here.